Yesterday, we celebrated World Ovarian Cancer Day in honor of this global movement to ensure all the women we love know about ovarian cancer. 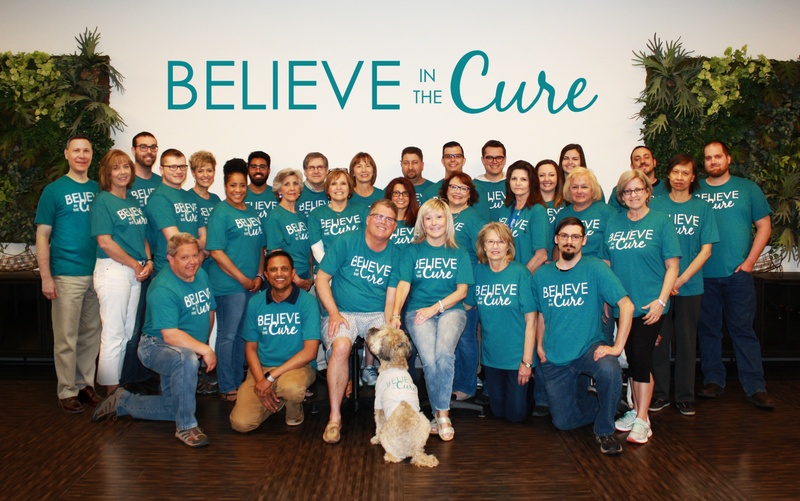 Last September (National Ovarian Cancer Awareness Month), we hosted our first Believe in the Cure event to raise money for Dr. David Bender's Ovarian Cancer research team from the University of Iowa Hospitals and Clinics. We learned from Dr. Bender that early detection is key and is made even more possible by raising awareness of this cruel taskmaster of a disease (take the 60-second B.E.A.T. Test to recognize the signs and beat ovarian cancer). Please take a moment to share this test so we can help raise our voices and spread awareness. As many of you know, earlier this year Jane was diagnosed with a recurrence of ovarian cancer. 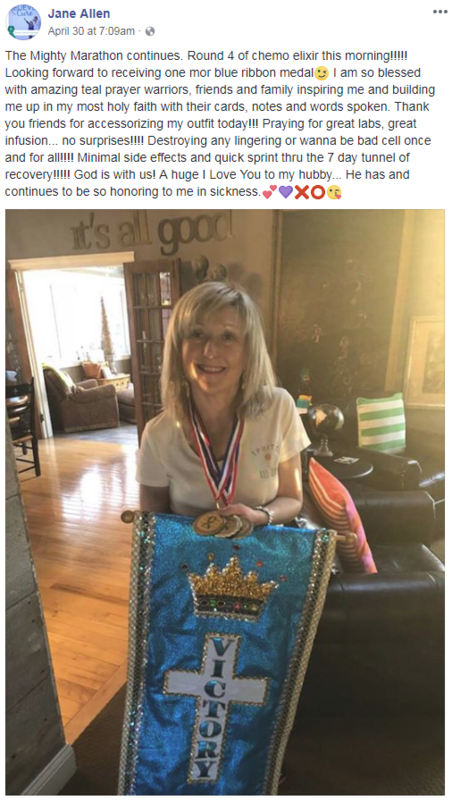 By the Grace of God, Jane's unflinching strength, and the unwavering support of loved ones, she completed her fourth round of chemotherapy last week. Prayers for Restoration have been answered! You can provide direct support for Dr. Bender and his research team by donating to the University of Iowa Hospitals and Clinics below.